The Portuguese National Tourism Office sent over some great information about one of the country’s artistic treasures: pottery. While Portugal is certainly well-known for its high quality crafts (ranging from leather, copper, silver and gold to tapestries, woodcarving and amazing glassware), pottery is the real core of the nation’s creative production. People in Portugal have worked clay since prehistory – it is part of the very ground the nation is built on. Travel the country and one finds glazed tiles everywhere, on churches, houses, palace façades and in gardens. You see traditional red and black clay and every region has both. Many areas offer amazing museum reproductions such as Viana do Castelo and Coimbra and, there are whimsical and fun clay traditions such as the figures from Estremoz, the greenware from Caldas, or the Rooster of Barcelos. Caldas da Rainha, just north of Lisbon, is the center of Portuguese pottery due to the abundance of clay deposits. Rafael Bordalo Pinheiro opened a factory in 1884 that makes the town, Fabrica de Faianca, famous. 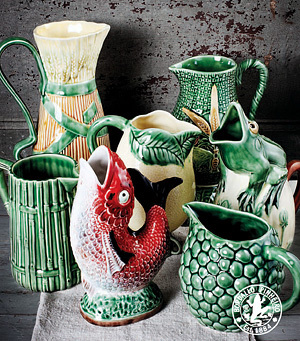 The factory still puts out a variety of cabbage and greenware, figurines, and fanciful pottery. For more information on Caldas da Rainha, click here. Now Offering…The Pousadas of Portugal! ILC is proud to announce a new addition to our unbeatable stable of lodging options: The Pousadas de Portugal! The Pousadas, like many of our great Spanish options, present the modern traveler with a stunning combination of history and modern amenities. There are tons of different choices, too, with converted monasteries, convents, palaces and many more. Please contact us for more information, and we’ll keep you updated when we revamp the official ILC website with new photographs and specific materials. We can even connect Spanish and Portuguese travel for a whirlwind tour of two of Europe’s most beautiful locales. 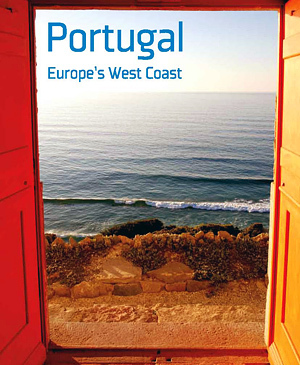 Photo credit: Turismo de Portugal, I.P. We’re ready to close the books on another landmark year and want you to know there will be a lot of great news and innovations in 2009. In the meantime, we want to thank everyone for reading our blog and visiting the website. You can access our hot deals here, which cover Barcelona, Bilbao, Granada, Madrid, Marbella and Seville. 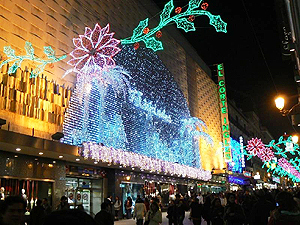 You can get great travel tips and information on Spain here. Stay on the lookout for more blog entries, YouTube videos and the launch of our electronic newsletter.